He added: “One of the inertial measurement units failed. And that caused an unfortunate chain of events we’re not sure about. He also vowed to put an Israeli spacecraft on the moon “intact” in the next two years. 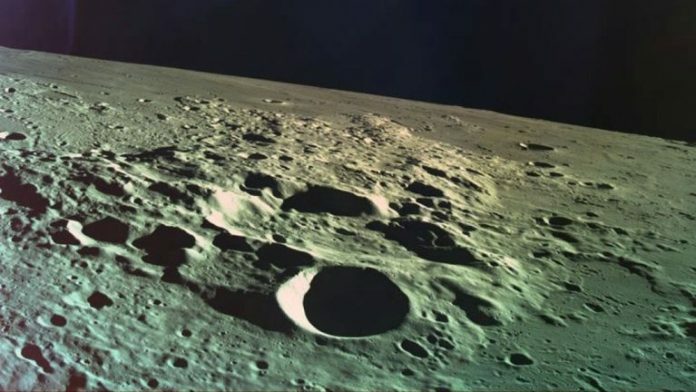 Beresheet – a biblical phrase meaning “In the beginning” in Hebrew – had travelled through space for seven weeks in a series of expanding orbits around Earth before crossing into the moon’s gravity last week. So far, only three nations have successfully carried out a “soft” landing on the lunar surface: the US, Russia and China. It was built by Israeli non-profit space venture SpaceIL and state-owned defence contractor Israel Aerospace Industries with $100m (£76.5m) provided mainly by private donors. Standing at only 1.5m (4.9ft) tall, it was shaped like a round table with four carbon-fibre legs. It blasted off from Cape Canaveral in the US on 21 February on a SpaceX Falcon 9 rocket and entered the Earth’s orbit about 34 minutes after launch. A direct route from the Earth to the moon covers approximately 240,000 miles (386,000km). There was much excitement over the lunar mission in Israel, where it was promoted on television and discussed in schools. The spacecraft’s final manoeuvre on Wednesday brought it into a tight elliptical orbit around the moon – nine to 10.5 miles from the surface – before the disappointing crash-landing. Scientists were visibly distraught as celebrations at viewing centres across the country were dashed. The US space agency NASA broadcast the landing attempt live on its channels and online. NASA administrator Jim Bridenstine congratulated SpaceIL on achieving the milestone. He said: “While NASA regrets the end of the SpaceIL mission without a successful lunar landing of the Beresheet lander, we congratulate SpaceIL, the Israel Aerospace Industries and the state of Israel on the incredible accomplishment of sending the first privately funded mission into lunar orbit.